At the weekend fare the gypsy rolled her eyes and gazed into her crystal ball, yet we all know crystal balls are far more than just fairground entertainment. The vision of a witch screening the crystal ball for indications of past, present and future events forms part of our collective unconscious, along with our dream worlds and magical expectations. 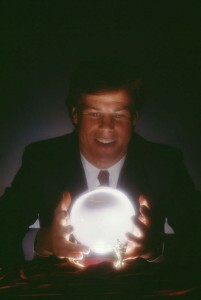 A crystal ball is a mysterious, metaphysical tool used by enlightened Psychics to deliver profound insights. Its history goes back, virtually to the beginning of time. The mythical Ancient Atlanteans were said to have utilised immense crystals with awesome healing and transformative powers. The Ancient Egyptians got their “ball rolling” by using crystals to ward off bad luck. Ancient Celts manipulated crystal balls in religious rites and magical practices. In the Middle Ages, witches and wizards gazed into translucent Beryl gemstone, swearing they could pick up the ethereal images reflecting past, present and future, (some paying a high price for their trouble by being burnt at the stake). However the belief that crystals connect to the invisible worlds and angelic kingdoms was popularized in England by one of Queen Elizabeth’s the First’s favourite counsellors, a certain Doctor John Dee, who was not only an alchemist, but a firm believer that crystal was a bridge between the material and spirit worlds. But you might ask what is so magical about crystals anyway, why do so many New Age pundits believe in their powers and healing qualities? Certainly crystal balls are stunning to look at. Even ordinary Quartz crystals reflect light, with their entrancing and diverse formations, some of which mirror sacred geometry and take our breath away. But if you were to pick them up they feel inert, cold even. Sceptics declare that those who believe crystals help us see the future, are totally deluded. The truth is crystals have no power; it is the Psychic, or Healer who endows them with a potent energy force that then expands out into the ethers. In other words a crystal ball is a transmitter and can be programmed with healing or “seeing” energies that “emanate” radio-like waves, attracting visions and predictions into the ball itself. Usually, before use, the empath purifies her ball with salt water and leaves it out in the moon or sunlight to detox from previous handlers or unbalanced vibes. Sally always does these detox procedures before she uses a new crystal. Sally is a powerful Clairaudient and healer who treats both her crystal balls like friends. She calls them her “keepers” and swears by their accuracy, knowing they amplify her already astute perceptive gifts. With their help she can contact invisible dimensions that she would previously have had difficulty accessing before. In other words, the crystal ball is a fundamental metaphysical accessory to her work. In fact she advises her clients to use crystals to support their journey through life. For example you have had a period of romantic bad luck, why not programme a Pink Rose Quartz crystal with the image of your perfect lover and wear it around your neck? Be prepared to be surprised, that crystal could manifest miraculous effects when you least expect it to. Happy feelings can also be accentuated by programming a sunstone to banish the Blues. The Citrine attracts prosperity and material protection into your life, and various other crystals can aid a myriad of life quandaries. But the crystal ball certainly remains a star attraction. As we start to gaze into its fascinating visions and the shapes of past present and future, symbols sometimes emerge, or a secret code or language. It is the Psychic’s job to decipher these images, and that process can be fascinating for both reader and client. The fact is, as you stare into the perfect crystal ball, its magical and symbolic reality could give you the power to reshape your world, certainly a reason to give the crystal ball the benefit of the doubt and believe in its mystical powers!